KNBC won two out of the three RTNA Golden Mike Awards for Best Newscast, including Best Daytime News Broadcast (any length airing between Midnight and 4PM) and Best 30-Minute News Broadcast (airing between 4PM and Midnight). “Today in LA” at 6AM took home the prestigious honor for top Daytime Newscast and The “Channel 4 News” at 6PM shut out its competitors to take home the honor for Best 30-Minute News Broadcast. Additionally, KNBC was lauded with Best Documentary, Best Hard News Series Reporting, Best Light News Series Reporting and Best Video Editing of a Hard News Story Series or Special at Saturday night’s 61st Annual Golden Mike Awards in Universal City. "It's very gratifying to be honored by your industry peers who know exactly what it takes to complete an investigation or put together a newscast on a daily basis", said Vickie Burns, KNBC Vice President of News and Content. "Winning two of the top three honors for Best Newscast and being recognized for addressing issues important to our community is a terrific acknowledgment of the ability and dedication of the team", she added. “LA Heroes: The Untold Stories of Haiti,” a half-hour documentary that showed dramatic footage of Los Angeles County Firefighters saving lives after the devastating earthquake in Haiti was honored with Best Documentary. Robert Kovacik hosted the special. Rebecca Nieto was the program’s executive producer. Tommy Bravo and Scott Meadows served as photographers; Dino Castro and Lindsey Jackson were credited as editors, while Dave Seger worked audio and Sue Monroe provided critical engineering support. “Rock ‘n Roll Treasure,” a series that revealed never-before-seen photos of the legendary John Lennon’s Lost Weekend and other rock bands landed a Best Light News Series Reporting Golden Mike for Anchor/Reporter Chuck Henry and producer Tara Wallis. 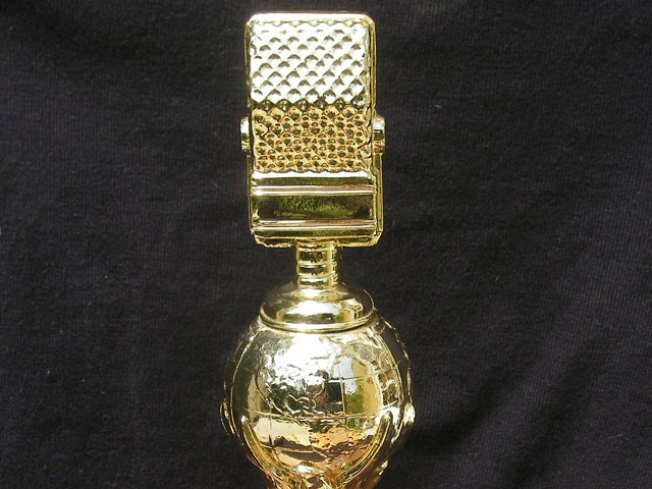 The Golden Mike-winning broadcast of "Today in LA" at 6AM was produced by Jeff Evans. Alycia Lane and Kathy Vara anchored the program. Elita Loresca and Sean Murphy were the weather and traffic anchors. The "Channel 4 News" at 6PM broadcast was produced by Marissa Sifuentes. The show was anchored by Chuck Henry and Ana Garcia. Pablo Pereira and Fred Roggin were the weather and sports anchors. Former KNBC television anchor Kelly Lange and Anchor Jose Ronstadt from NBC Universal’s Telemundo station KVEA were honored with Lifetime Achievement Awards. The Golden Mike Awards were presented at the Universal Hilton Hotel this past Saturday in a ceremony to honor the best in radio, television, and internet broadcast journalism excellence in Southern California. The Golden Mikes are presented annually by the RTNA, the non-profit group representing broadcast newsrooms in Southern California.